This was meant to be a companion post to "the drug bandwagon" but I've been so sidetracked lately that it's slipped a little. As per usual, when I do a drug-style post, I just want to start with a quick disclaimer. I'm not a doctor, so any advice I give should be treated as lay-person's advice which should be checked by a professional. The question I was asked was about Metadate CD however Metadate CD is just another name for "day-strength Ritalin" - as is Concerta. 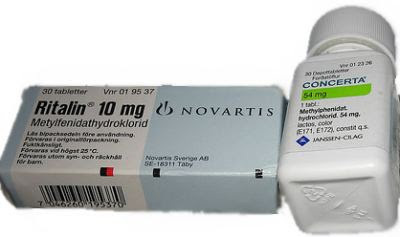 Ritalin and Concerta are brand names while Metadate CD is the generic (cheaper version). Everything you read about Ritalin and Concerta holds true for Metadate CD. (but of course, not everything you read online is true). It's true that there could be some nasty side-effects with Ritalin. The same goes for every single drug in history - including Aspirin which has a much, much worse track record. No drug is 100% safe so use any drug with caution and consider doing a test on yourself (either parent) first before you try your child. Unless your child is adopted, you're the closest genetic matches for your child and will be better able to assess the likelihood of side-effects. Don't forget though that the adult dosage is probably much higher than the child's dosage. As a good starting point, the dosage is calculated by weight. If you weigh double your child's weight, then in theory, you'd need to consume double the quantity to get the same effect. Of course, your doctor should be able to give you a much better idea of the ratios but if they are resistant to the idea for health reasons, then consider this - if your doctor doesn't feel that a particular medication is safe for you, how can he warrant that it will be safe for your child? The Church of Scientology, which doesn't recognize Autism as a condition and which opposes the use of any drugs (including Aspirin). Parent groups who are opposed to the use of any medication in children (and often think that everything comes down to either parenting or diet). Understand that both groups are biased and that sometimes their information can be downright "lies". They use a lot of scare tactics and with a considerable amount of success. The fact is that Ritalin has had over 50 years of clinical tests and it's arguably one of the safest medications of its type for children today. Of course, that doesn't mean that you should write-off the advice of parent groups. Fish Oil and various dietary changes didn't work for my son but maybe they will for yours. Every child is different and perhaps one child's genes make him more susceptible to alternative medicines than another. Even if the natural drugs don't actually work, sometimes the placebo effect is all takes. I'm often told that people are on Ritalin because they have aspergers without having been told that the child also has ADHD. Ritalin is an ADHD drug - not an Aspergers drug. There is no drug which is known to be effective against aspergers. So, if your child doesn't have ADHD, then you probably shouldn't be giving him the medication. There are two main types of ADHD. ADHD - Hyperactive: These are the kids who you see "bouncing off the walls" in Supernanny. ADHD - Inattentive: This used to be called ADD. In this case, the child isn't hyperactive at all. It's just very difficult to get their attention - and almost impossible to keep it. ADHD is a very common co-condition for people with aspergers. Find out for sure whether your child has it or not. This will help you to decide on the issue of medication. Ritalin works differently in different people - which is one of the reasons why I suggest you test on yourself first. Some children react really well, while others don't. It's rare for a child to react poorly to ritalin but it's reasonably common for it to seem to have no effect. In these cases, you may find yourself under pressure to increase the dosage. Small short-term increases are acceptable but if you don't see changes quickly - it's time to discontinue. Ritalin also affects people of different ages differently. A child who has no response on ritalin at a young age may respond better as he gets older (or vice versa). Ignore the information online about it needing to get into the system. You should see major behavioural changes within the first two weeks. If you don't, then discontinue use. It takes about 1 hour to get into the system and the effects usually last for four hours. Of course, if your child is on a day strength variant, you may get 11-12 hours out of it. You will notice some significant mood changes as your son comes off the ritalin, so try to be tolerant at that time of night. Too little Ritalin and your child will be their usual disruptive or inattentive self. Too much and while they seem like the model student they will have actually "zoned out". This is what I call the "zombie effect". Your child needs exactly the right dosage to retain their personality and quirks while suppressing the attention deficit urges. Teachers tend to love the zombie state, so be careful and test the ritalin at home before you let your child use it at school. You need to see the effects in order to gauge the correct dosage. The idea of the ritalin is to give your child more control over their own impulses - not to suppress them altogether. Your child may also need more ritalin as they get older as it's often determined by body mass. If your child goes through a growth spurt, don't be surprised if the paediatrician recommends a higher dose. Of course, the reverse is also true sometimes. As your child develops more and more self-control over their own impulses, they may be able to reduce the dependency on Ritalin. If possible, give your child a chance to operate without it - on weekends and school holidays. Of course, if there's learning involved (eg: scouting activities, weekend tutoring etc, you might consider giving medicating for certain occasions). Just be sure to use it to give your child self-control, not to make your job as a parent easier. Make sure that your child's school knows about the ritalin and knows when you increase or decrease the dose. They can help to watch for "danger signs". You'll probably encounter a lot of different opinion about medicated children in school - both positive and negative. Be prepared for people who can't suppress their urge to comment and don't let it get to you. There are a few side-effects to ritalin but the most well documented ones are loss of sleep and lack of appetite. Remember that the tablets last for 12 hours and make sure that you don't have your child on medication close to bedtime. You may find that it helps to have a mix of both day-strength and half-day tablets. (not for the same day obviously but for days when you forget the tablet or need to give it to your child later). Some parents give their children Melatonin to help them sleep after Ritalin. This is ok but it's counter-productive if the ritalin is still active in their system. If the ritalin is keeping your child up at night, try either giving him his tablet earlier in the morning or switching to two Ritalin tablets per day (you'll need the school's co-operation if you do this). Ritalin also puts a bit of a horrid aftertaste in the mouth, so make sure that your child has finished their breakfast before you give them the tablet. Ritalin does not bring about long-term change. In fact, it drops off quite drastically when you stop taking it. There are articles about traces lingering in the system but that's true of any medication. Any changes it makes to your child should be temporary. There are obviously drug alternatives to ritalin but these are all at least a little more dangerous because they've had less clinical trials. Another thing which is commonly used in place of Ritalin is coffee. 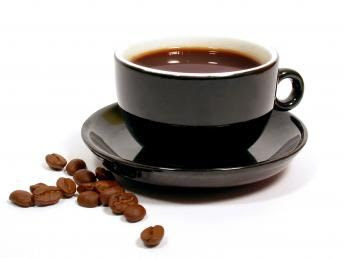 Believe it or not, coffee is often just as good with ADHD children. Changes to diet can also help but only if a child has specific intolerances to various food colorings and preservatives etc. Sometimes it's worth a go though. I hope these help anyway. Ultimately, you have to make your own choice - and it's always difficult. Overall a nice post with a supportive parenting message, but I don't agree that a parent should take a medication for which they themselves are not prescribed. In the case of Ritalin, it can be physically dangerous (not to mention addictive) to a person if they ingest the drug and that person does NOT have ADHD. Therefore, if a parent does not have ADHD, that parent should not ingest any drugs for that condition. Testing it out on oneself when it could be harmful is not helping the parent or the child. Having been prescribed Ritalin when I was younger, I would not recommend a drug like this unless it is truly necessary. Ritalin is very, very powerful, and in my opinion quite over-diagnosed. Essentially, Ritalin is a potent stimulant. The reason it works to focus children on schoolwork is the same reason that you would focus better at your office-work after drinking a few cups of coffee. Stimulants are a powerful tool, but I would not recommend them for daily use, certainly in children. "Methylphenidate belongs to the piperidine class of compounds and increases the levels of dopamine and norepinephrine in the brain through reuptake inhibition of the monoamine transporters. MPH possesses structural similarities to amphetamine, and, though it is less potent, its pharmacological effects are even more closely related to those of cocaine." In my wild and crazy youth, I have used cocaine, and its effects are very similar to Ritalin. Now, I think cocaine is perhaps a bit too demonized, but it is strange to me that Ritalin, a very similar drug, is routinely given to children. If you still think Ritalin is a good idea / necessary, I do have some specific advice. 1) If your child does not like it, please take him/her off of it! At the very least, reduce the dosage. Ask your child how it makes them feel. No one asked me, and after a while I refused to keep taking my pills (I was about 14 & I'm glad I did!). 2) Be aware of the abuse potential. Don't be paranoid/accusing, but be aware that many children (especially when they get to teenage years) will use Ritalin recreationally. I knew several people who would save up their pills, then crush them up into a powder and snort them (like cocaine). In fact, I have met several people who prefer the mental effects of snorted Ritalin to those of cocaine. As such, there is often a black market in pills like this, which are can be sold for several dollars a pill. 3) Be aware that, just like caffeine, people can become both physically and pyschologically reliant on the stimulant Ritalin, especially to study. When I was in college, the people I knew who were prescribed Ritalin (& the friends they gave pills to) would typically take a bunch of it to pull all-nighters, cram, or before a big test. I'm not trying to say Ritalin (& similar drugs like Adderall) aren't powerful & useful tools. Just please be careful, and make your own decision! Doctors often feel their job is to prescribe, and "make the trouble go away". We were against medication for a long time. Our sonme has ADD and Aspergers and we resourced the difference between anti-anxiety drugs and antipyschotic drugs. He was struggling everywhere. We trialed one and it made things worse. We are now on Strattera and he is loving his life now without the zombie affect. There are many more drugs out there that dont contain speed. WE dealt with the ADD and now we have the predictability with Aspergers. So my answer is, dont knock it. As parents we have reached breaking point with supporting unfunctioning children. That is the reason why we have to try everything. It just gets too un-livable. My nephew took Ritalin when he was a kid. It stunted his growth and caused him to be depressed and suicidal. As soon as he got off the Ritalin he did much better and started growing normally again. And no I am not from either of the two groups mentioned. I just know from experience that its bad news. Its like sedating a kid just so they will get off your nerves. There are many other ways to help a child with ADHD to stay calm and to focus. I was diagnosed with ADD a few years back (I'm 39 now)and have an appointment tonight to start the diagnosis process as I might also have AS. I was prescribed Ritalin and I found great benifit from it. My son is 5 and has been diagnosed with AS and ADHD, and has been prescribed Ritalin. 1) After realsing the benifits of Ritalin and how it helped me cope in the workplace, I feel it's narrow minded and to a point cruel to deny a child who needs it (I agree it could be over prescribed, so I emphasise "a child who needs it or is advantaged by the benifits"). I think back on my schooling and how much better off I would have been if I could have been taking something like this. I played with the dosage with the prescibing Psyciatrist and I can immediately feel when the dosage is too high (as in 5mg more than I need, then I feel the "speed" effect), but my son at 5 needs a higher dosage than me. The point here is that if someone who doesn't need it, takes it, they will get the wrong impression and make an incorrect judgement. I aggree that comment about being safe for the kid, safe for the adult, but it might have different effects. 4)At times it feels like when he takes thr Ritalin, he loses the ADHD but is free'd up to focus on all his AS traits, and becomes more difficult with accepting minor routine changes, stimuli, stimming, etc. It's almost a choice I make between the letter of 2 evils. He is too young to explain how he feels with/without the medication, and he doesn't know exactly why he takes his tablet. I will certainly yake his opinion into account when he is old enough to explain how he feels on and off the med. 5) Ritalin stunts growth? I hope so!!! I'm 5ft3 and he's tipped to be 6ft3 (he has a tall mother) and taller than me by the age of 13. I need all the help I can get lol. The time released version of Ritalin known as concerta left me with permanent Tourette syndrome. After 15 years of suffering with this psychiatrist made disaster, I'm ready to give up on life. Thanks Dr. G*** T****, you destroyed my life. I think Ritalin may be an okay medication for adults, but not for most growing children. I was prescribed Ritalin at the age of 7 for supposed ADHD. I was not even an extremely misbehaved child. I just happened to have some organizational issues, issues with fidgeting, and being easily distracted. Rather than teaching me organizational skills, the teacher had me sent to doctors and put on Ritalin. Seems pretty damn lazy on her part. It stunted my growth and ruined my tooth development. I am now only 4'11" and I am 25 years old. No one in my family is this short. This medication, if given to children at all, should only be given to extremely misbehaved children who would otherwise be kicked out of school. I am not from the Church of Scientology or some crazy person who does not believe in ADHD or medication. I am a victim of big pharma and this medication has a lot of downsides. Ritalin doesn’t work for everyone I will admit I was not happy to be back on it after 5 years off it. I have Aspergers and ADD and found that while off it and on anti Anxiety medication I was actually not doing as well as I was on Ritalin. I found my concentration to be far worse off it than on it. That’s why now back on because my quality of how I function is better on it for me. Thank you for your advice there are now other medications I’m aware of that can do the same as Ritalin. As for for the stunted growth it didn’t affect me either was both my parents are short and I went through puberty at a young age before going on Ritalin, so my height wouldn’t of changed either way. Yes I understand that Ritalin can to some depending on the dosage and the person serveriy of Autism can affect the child in different ways. Hopefully there your Nephew is doing better. Sorry to hear you had such a bad experience with Ritalin! I am a female on the Spectrum and wasn’t officially tested or diagnosed with Autism high Functioning until I was 22 years old. I had a lot of health issues while growing up I was born severely premature and when struggling at school, was always told it was due to my premature development issues. I was diagnosed with Narcolepsy at 10 years old and put on Ritalin. It was really well for me ! But for some unknown reason I was getting really better at everything school related and general things as well. The sleep specialist was not understanding this at all, as if you have severe Narcolepsy you get worse as you get older. I have numerous sleep studies and I got better each time because I was older and on Ritalin at the time. I’m short as well 4 9” I have short people in my family, so I was lucky the Ritalin didn’t affect me in that way. I stopped Ritalin when I was 18 and now 23 realising as I go about my days and working and what not that my ability to focus on tasks have worsened since been off it, I have been more distracted and not holding jobs at all. But when I was on the Ritalin my performance overall was a lot better and sharper. But that’s just me everyone is different! My parents went through so much stuff trying to get as much help for me as they possibly could. It wasn’t until I was 22 that I was tested for Autism and found that I was on the spectrum and have ADHD hence why the Ritalin worked when initially they thought it was a sleep disorder and anything else to test for at the time was too hard for them and everything was just because I was premature they said no I don’t have Autism that’s a boy thing. Which we now know is not the case at all. I am very lucky to finally feel I understand myself and can work better to understand how I operate.